>> TFP 064: Interviews with David Goffin, Stefanos Tsitsipas, Donald Young and more at the 2018 Citi Open! On Episode 64 of The Tennis Files Podcast, you’ll hear several of my interviews with some of the best tennis players in the world and my top takeways from them to help improve your tennis game. 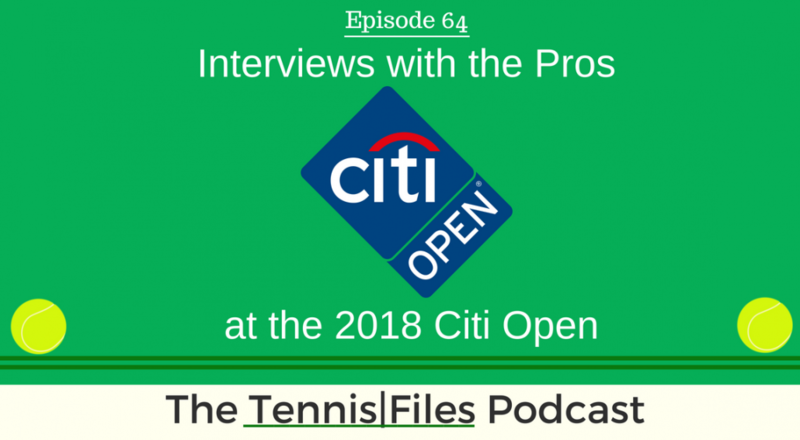 I spoke one-on-one with David Goffin, Stefanos Tsitsipas, Donald Young, Marcos Baghdatis, Hyeon Chung, and Thai-Son Kwiatkowski at the 2018 Citi Open last week after their matches and heard a ton of excellent tips from these amazing players that I want to share with you on the podcast. It was a pleasure interviewing these players, and I have to thank everyone from the Citi Open, ATP Tour, and LINK Strategic partners for helping make these interviews happen. If you want to see more media from this year’s tournament, including my interviews and press conferences, head over to my Youtube Channel! I hope you enjoy this episode of TFP with the pros, and let me know what you think in the comments below! If you enjoyed this episode, subscribe to The Tennis Files Podcast in iTunes or your favorite podcast app!